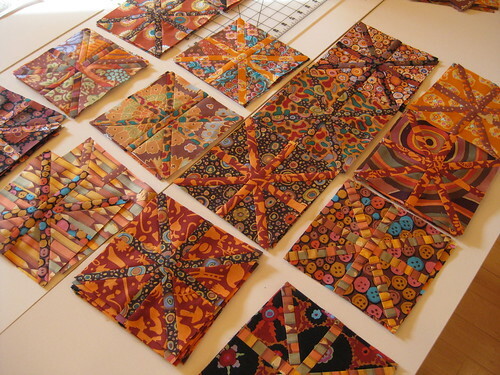 I have been working on the asterisk quilt. 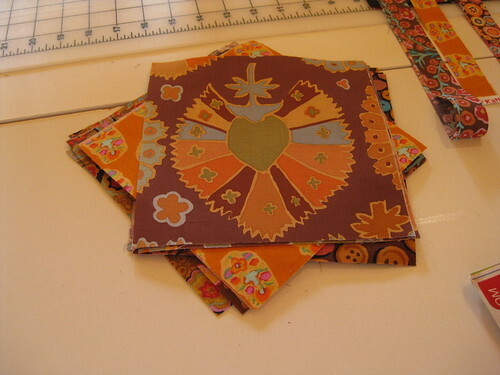 As you recall, you start with stacks of 7-inch squares. End up with stacks of blocks to be trimmed up. Here are some finished blocks. 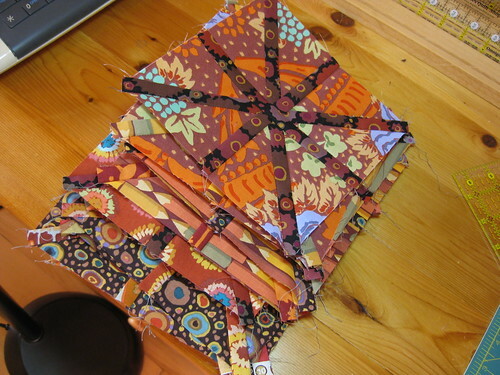 I will need 81 for a 9 block by 9 block quilt. 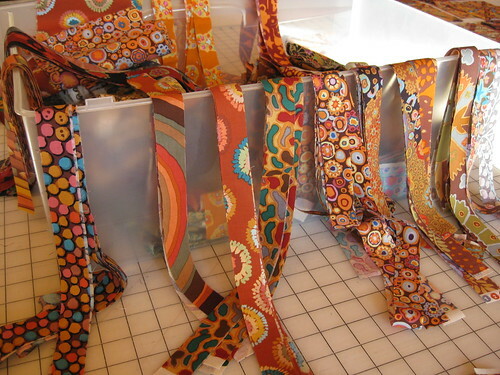 These are Kaffe Fassett fabrics. I think I will insert a 1-inch sashing using one of the calmer fabrics to give the eye a place to rest, as designers are wont to say. Totally AWESOME ! ! ! !